Elbow sleeve shirt, with text BAILAORA in the back. 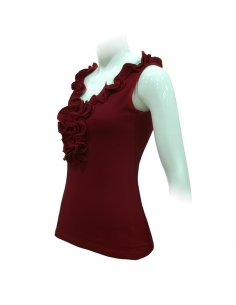 Top with zipper in the back, made of crepe. Choose your color combination. 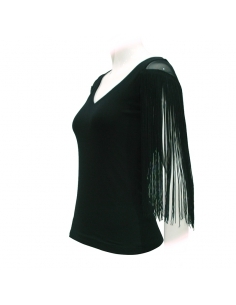 Shirt with shoulders of tulle and fringes. 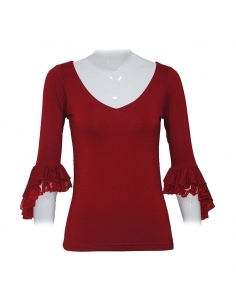 Elbow sleeve lace shirt, with two oval frills at sleeves. 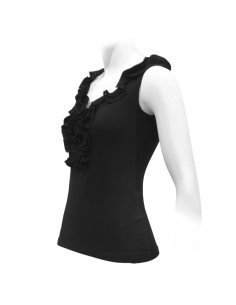 Elbow sleeve shirt, with two oval frills at sleeves. 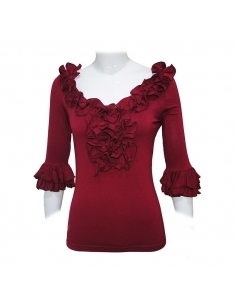 Elbow sleeve frill shirt, with two frills at sleeves.